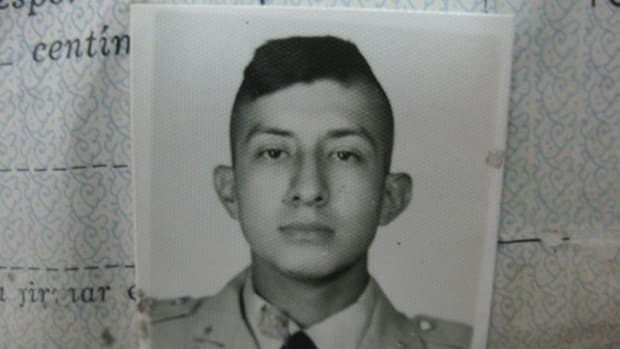 Jorge Vinicio Sosa Orantes, who obtained U.S. and Canadian citizenship, is the highest-ranking soldier convicted on charges related to the slaughter of 250 villagers during the country’s civil war. Riverside, California — A federal jury convicted a former Guatemalan army lieutenant Tuesday of immigration fraud, finding that he obtained U.S. citizenship in 2008 by concealing his role in the massacre of 250 men, women, and children during Guatemala&apos;s civil war three decades ago. Jorge Vinicio Sosa Orantes, who for a time had operated three karate schools in Southern California, became the highest-ranking former soldier convicted on charges related to the slaughter that wiped out the jungle hamlet of Dos Erres in 1982. Investigations in the United States and Guatemala have achieved unusual progress in the case, the only mass killing among hundreds in the 30-year Guatemalan civil war for which soldiers have been held accountable. Sosa, 55, will be sentenced December 9. He faces a prison term of at least 10 years, loss of U.S. citizenship, and then deportation to Guatemala, where he is charged with murder. U.S. authorities also have jailed two other former members of Sosa&apos;s commando squad on immigration charges, while Guatemalan courts have convicted five Army veterans for the Dos Erres massacre itself. Seven suspects, including two commanders, remain at large in a nation where war criminals are often protected by the security forces and criminal mafias. The judicial and media attention in the United States is important because powerful sectors in the economic and political elite of Guatemala are resisting efforts to pursue the atrocities of the past. Sosa, a second lieutenant during the war, was the junior officer among four lieutenants in the 20-man elite unit of commandos known as "Kaibiles." Jurors heard grim testimony from two participants and a survivor during the five-day trial. Sosa played a key role as a leader of the squad&apos;s "assault team" specialized in interrogations and hands-on killing, according to testimony of two former soldiers. The compactly-built martial arts expert oversaw the systematic extermination of villagers in the center of the hamlet, ordering his men to throw victims—including babies—into a well. Sosa fired his gun and threw a grenade into the pile of living and dead bodies in the well, according to testimony. The spectators in the courtroom for the verdict included a survivor of the massacre: Oscar Ramírez Castañeda, a 34-year-old restaurant worker and father of four who came from Boston to this city on the inland edge of Southern California&apos;s urban sprawl. It was another remarkable moment in a unique odyssey. Ramírez was three years old in 1982 and has no memory of the massacre. The commandos killed his mother and eight siblings, but a lieutenant—Oscar Ramírez Ramos—spared the boy and brought him home to his family. The lieutenant died months later in an accident; his family raised Oscar as one of their own. Ramírez immigrated to the United States as a young man and did not find out his true identity until 2011, when Guatemalan prosecutors tracked him down. A DNA test proved that Ramírez came from Dos Erres and reunited him with his father, who survived because he was in another village on the day of the military attack. The U.S. government gave Ramírez political asylum last year. "Justice is being done for all the victims," Ramírez said after the verdict. Although he said he condemns Sosa and the other commandos for their savagery, he walks an emotional tightrope because he feels gratitude for being spared. Seeing Sosa a few feet away stirred a mix of feelings, he said. "I felt a little bit of everything," Ramírez said. "Bitterness, hate, sympathy, because all of us are human beings." Ramírez had been prepared to testify for the prosecution, but the judge upheld a defense motion excluding him as a witness because he lacked memory of the events. Nonetheless, his attorney, R. Scott Greathead, said it is likely that Ramírez, as a victim of the massacre, could testify at Sosa&apos;s sentencing. Greathead called the verdict "an important validation" of efforts by human rights advocates and Guatemalan prosecutors who have long pursued cases against former Kaibiles. "What we have to look for now and press for now is for investigations and prosecutions of those who were in higher command, who were responsible for Dos Erres and other massacres," he said. Earlier this year, a Guatemalan court found the country&apos;s former dictator Efraín Ríos Montt guilty of genocide for masterminding a military campaign that resulted in hundreds of similar mass killings in rural areas. His conviction was thrown out on procedural grounds, however, and a retrial is uncertain. Because Sosa could not be tried for war crimes in U.S. courts, federal prosecutors pursued a strategy that has been effective in cases involving human rights abusers from around the world. Prosecutors charged Sosa with unlawful procurement of naturalization and making false statements on U.S. immigration forms for omitting his membership in the Guatemalan military and lying when he indicated he had never committed a crime for which he had not been arrested. Sosa&apos;s lawyer asserted that his client did not think he committed a crime because he was an obedient soldier who followed orders. The lawyer also argued that the questions on the forms were vague. Sosa&apos;s ability to elude prosecution for three decades revealed lapses in both the U.S. and Canadian immigration systems. Three years after the 1982 massacre, Sosa deserted the Guatemalan army and fled to San Francisco for reasons that remain murky. He claimed that guerrillas were gunning for him, but his brother told ProPublica in an interview last year that Sosa also feared government intelligence agents because of an internecine military feud. Sosa sought political asylum in the United States in an application that detailed his combat exploits. 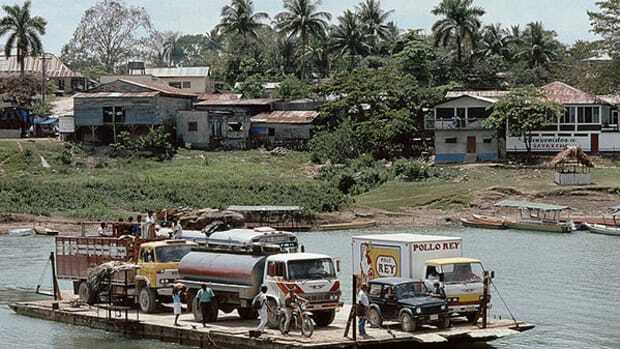 When U.S. authorities ruled that he did not have a well-founded fear of prosecution, Sosa went to Canada and gained political asylum and citizenship there. 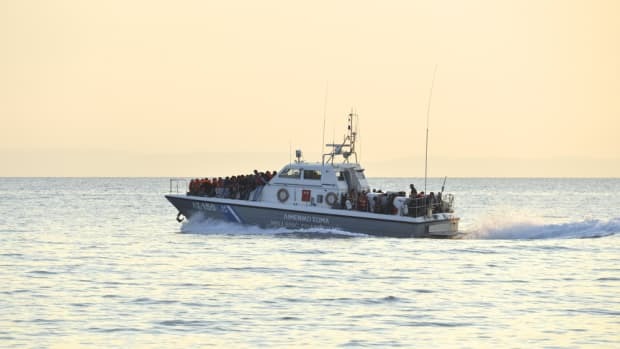 That decision showed a startling lack of scrutiny by Canadian officials, according to U.S. and Canadian human rights experts. In 1998, Sosa divorced his wife and came to New York, where he married a U.S. citizen and obtained permanent residency, this time concealing his military service. During that process and his naturalization 10 years later in California, U.S. immigration officers failed to notice in his file that his 1985 asylum application had made clear that he was a veteran of the Guatemalan Army. 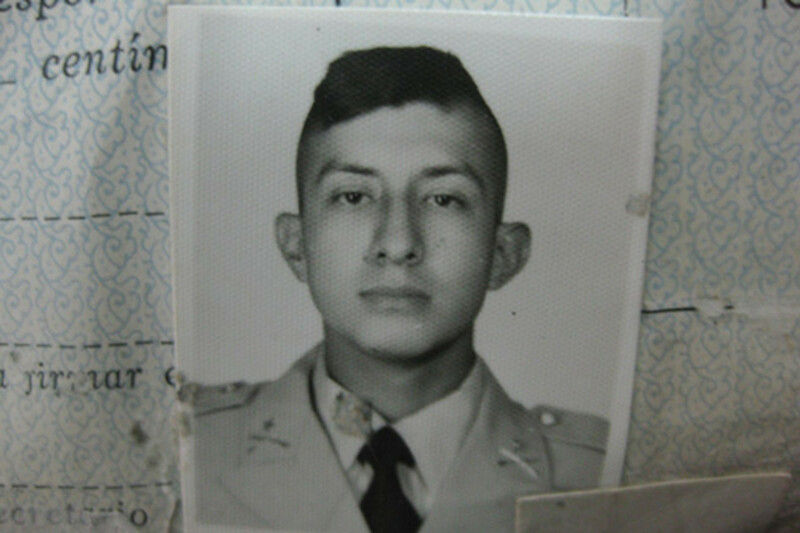 Although Sosa was convicted of a relatively minor crime, the role of the U.S. government in prosecuting the Dos Erres case reinforces the quest for justice in Guatemala, according to Fredy Peccerelli, a Guatemalan human rights activist and forensic anthropologist who investigates the crimes of the civil war. Peccerelli&apos;s lab conducted the DNA tests that identified Oscar and another survivor as victims of Dos Erres. "This strengthens the case in Guatemala because, although it&apos;s for immigration, you have a U.S. jury that has heard the evidence and ruled that there was a massacre," said Peccerelli, who attended the announcement of the verdict along with Ramírez and Greathead. "This adds to an accumulation of evidence in both countries," Peccerelli said. The judicial and media attention in the United States is also important because powerful sectors in the economic and political elite of Guatemala are resisting efforts to pursue the atrocities of the past, Peccerelli said. A survivor of the 1982 Dos Erres massacre and former Guatemalan commandos who carried it out will testify against a former army lieutenant, a U.S. citizen who prosecutors say lied about his involvement. 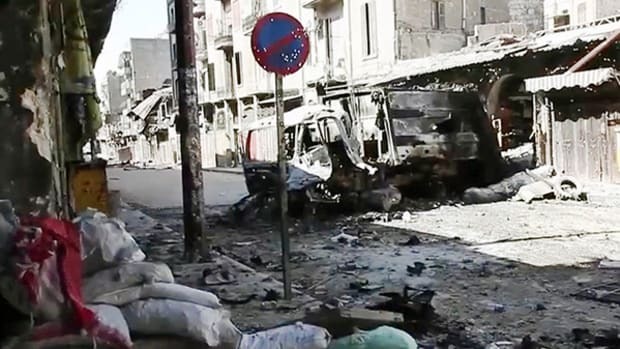 Western support for the opposition in Syria’s bloody civil war raises fears of a blowback from European extremists. 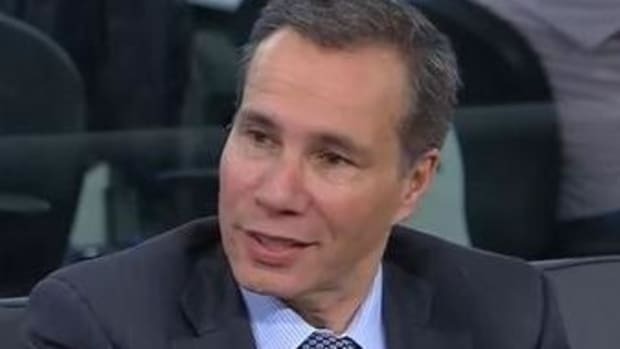 Whether the crusading prosecutor’s death is found to be a suicide or homicide, many Argentines probably won’t believe it. The past has taught them to always look for the sinister explanation.